Today, more than seven million Maya live in their original homelands of Mesoamerica and in countries all over the world. Two thousand years ago, the ancient Maya developed one of the most advanced civilizations in the Americas. They developed a written language of hieroglyphs and invented the mathematical concept of zero. With their expertise in astronomy and mathematics, the Maya developed a complex and accurate calendar system. Hundreds of restored ancient cities with temple-pyramids, palaces, ball courts, and grand plazas are studied by archaeologists, and are visited by millions of tourists from all over the world each year. 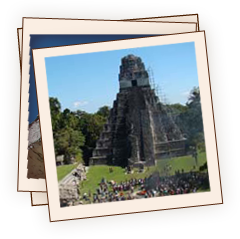 Contemporary Maya live and work near many of these archaeological sites. Language, tradition, and a deep sensibility toward the land and the sky continue to shape their worldview. The Maya are guardians of their culture and actively work to rediscover their own past as they look towards the future. The Creation Story teaches that the first Grandparents of the Maya people were made from white and yellow corn. Despite local differences and more than thirty living languages, the Maya share cultural roots and the common legacy of an accomplished civilization. For thousands of years, the Maya have lived in Mesoamerica, comprised of present-day southern México, Guatemala, Belize, parts of Honduras and El Salvador. By observing the natural cycles that link Earth and sky, the Maya have constructed a worldview of the Universe. © 2019 Smithsonian Institution All rights reserved.